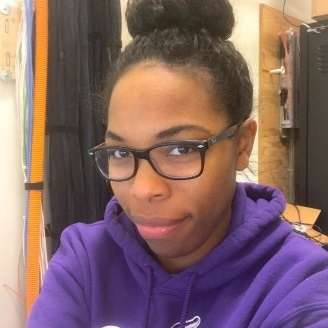 Kapris is a single mother of 9-year-old twins, a full-time student working towards a Master’s Degree in Information Technology, and works full-time for a charter school. She recently became a homeowner in Richmond, and enjoys listening to politics and music. Minna is an East Bay born-and-bred environmental justice educator and advocate. Her focus on the health and resiliency of our most marginalized communities stems from growing up near Chevron's Richmond refinery and her family’s political/refugee background. Minna has worked with organizations including Green for All, Center for Climate Change & Health, and Ecology Center. She is fluent in Persian and proficient in Spanish. Minna also enjoys corny jokes and being in the sun. Sara lives in Richmond, and credits her immigrant parents for what she has today. She attends Contra Costa College, and plans to transfer to a four-year university. She is passionate about environmental justice and housing; this passion led her to work for The Watershed Project, based in Richmond. Sy was born in Oakland, California, and moved to Berkeley at age 9. 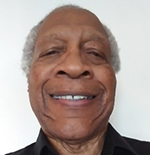 He received his undergraduate degree in social welfare from San Francisco State University and his Master's Degree in Architecture from the University of California, Berkeley. He worked as a consultant within the public and private sectors, and taught secondary, high school, and college. He enjoys traveling and jewelry design, a craft that he has practiced for over 34 years. Alicia G. Lawrence — mother, community organizer, and voracious reader — excels at listening, researching, and synthesizing information. Alicia’s commitment to organizing and justice work crystalized in the Spring of 2017, when she — as a brown Xicana — found a sense of belonging within The Hayward Collective, a grassroots social justice organization in her own city. Since then, Alicia has spent much of her time collaborating with passionate organizers; especially regarding housing justice. Anastasia is a public health practitioner, a policy advocate, and a community activist. 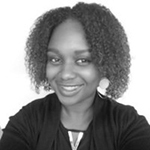 Anastasia currently works as a Program Manager at the Youth Leadership Institute (YLI) in San Francisco. She works with non-traditional youth leaders to create policy change in their communities. 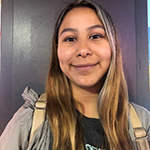 Prior to joining YLI, Anastasia served as policy advisor to health equity efforts, and collaborated with high schools to develop violence prevention campaigns. Danielle is a Bay Area native and a college student. As a young person, she was involved in faith and community-based enrichment programs through which she and her schoolmates advocated for cameras on inner city public transit. She also co-founded a parent advocacy leadership group known for challenging political leaders on education issues. Danielle will continue moving upward through service and empowering others. 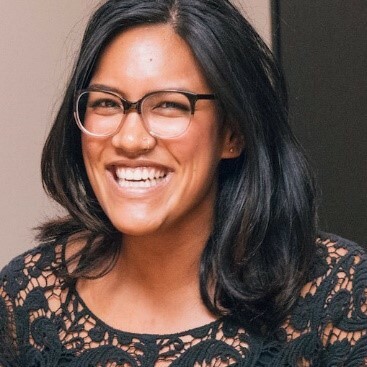 Rose has dedicated her career to advocating alongside communities of color and low-income communities through labor, health, and community organizing. 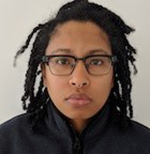 Ms. Auguste is a Compliance Officer with the City of San Francisco’s Office of Labor Standards Enforcement where she enforces the City’s labor laws. Ms. Auguste earned her Bachelor of Arts in Africana Studies and Bachelor of Science in Political Science from S.U.N.Y Binghamton University. Saa’un is the oldest of six from a working-class Black and Filipino immigrant family. She believes in the transformation and preservation of public institutions—especially public education. As a former English-Language-Learner and first generation college graduate, Saa’un is determined to transform education into an institution that advances racial and economic justice. She is a Strategy Director at Californians for Justice, and a leading Narrative Strategist. Zhonnet “Z” Harper is a Patient Care Navigator for breast cancer at Alameda Health System. Zhonnet began advocating for her patients with county and state officials by giving voice to the population she serves and the community in which she lives. Z is now Vice Chairwoman of the Alameda County Public Health Commission, and is a member of Assemblyman Rob Bonta’s Women of Color Commission. Zhonnet loves to write and tell stories. Amerika is an educational leader who is committed to serving the needs of adult learners in non-traditional school settings. She taught incarcerated individuals in local jails through Five Keys Schools and programs. 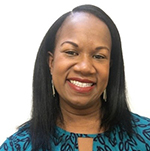 She has expanded her work with Five Keys as a Community Site Principal, developing educational programs in partnership with community-based organizations. Amerika is a proud resident of the Bayview District of San Francisco where many of these partnerships are based. 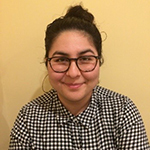 Genay is a proud Bay Area native and a passionate activist with over 10 years of experience working with non-profits around civic engagement, racial justice, education, and affordable housing. She holds a Bachelor’s Degree in Community and Regional Development from the University of California, Davis. She currently works with low-income communities of color teaching leadership and campaign development skills as a lead community organizer with a non-profit in San Francisco. Nicholas Jay Aulston is a long-time advocate for community control of resources. As a trained urban planner and data scientist, he is interested in how inequity has been structurally baked into our most basic communal resources, such as schools, transportation, housing, air quality, food, and income. He currently serves on the board of the San Francisco Bicycle Coalition and as one of the founders of the Bicis Del Pueblo bike project. Mr. Jones is a San Francisco native and Junior Analyst for the San Francisco Human Rights Commission. Terry is the first person in his family to graduate from college, with a Bachelor’s Degree from San Francisco State University in Finance. He wants to create opportunities for disenfranchised communities, and knows that policy and business are two great ways of obtaining that. Eduardo “Lalo” Gonzalez is a Program Manager at the Youth Leadership Institute. 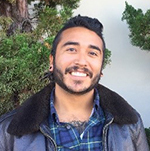 Lalo supports youth and adult allies across San Mateo County working on youth-led action research improving public transportation, environmental prevention on substance use/abuse, and increasing youth civic engagement. Lalo grew up in the Eastern Coachella Valley where he participated in Youth Led Action Research. He enjoys dancing, the wizarding world of Harry Potter, and eating seafood. Ofelia was born and raised in East Palo Alto where she currently serves on the Planning Commission. She earned her Bachelor’s Degree from the University of California, Santa Barbara and holds a Master’s Degree from the University of San Francisco in Urban and Public Affairs. 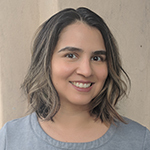 Ofelia works with various local and regional organizations and coalitions around housing issues, and is currently a planner at the Association of Bay Area Governments-Metropolitan Transportation Commission. Uriel grew up in East Palo Alto where he currently serves on the Planning Commission. He went to school at Middlebury College in Vermont where he studied architecture and history. He returned to his hometown and found a passion for planting trees and serving his community. Through this work, he dove into the issues of environmental justice and closing the green gap between communities. During his free time, he enjoys exploring the green spaces of the Bay Area.